I have been working on a few new posts but time has not been my friend lately and getting them finalized into a publishable format. I had been considering writing a little fiction as it is easier to just write a bit here and there but despite creating a new blog for this purpose the integrated nature of a person’s WordPress blogs caused me to publish it here in the Tavern by mistake. My apologies. Since anyone following me got the erroneous post, here is a bit of more recent history about my more immediate family. 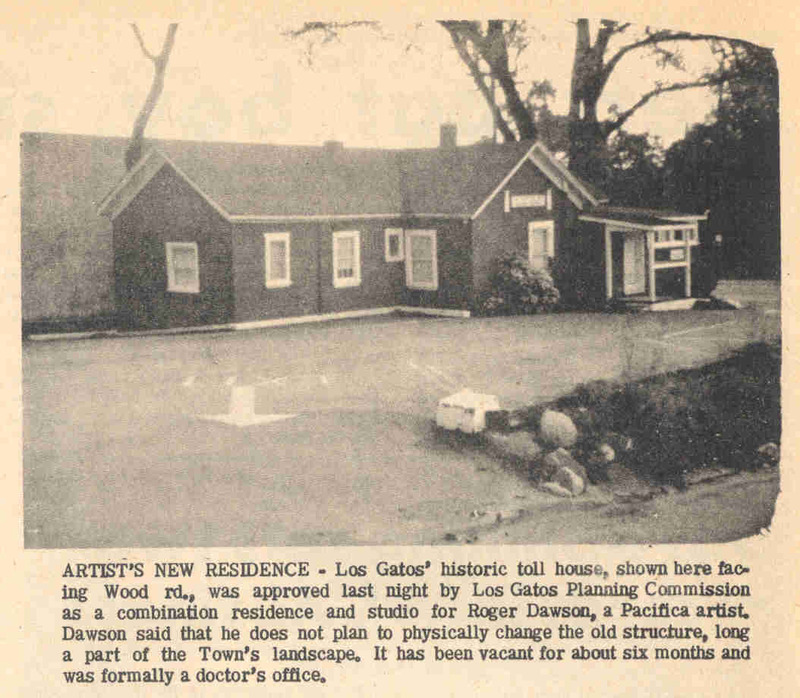 My parents rented a historic building when I was 3 years old on the outskirts of Los Gatos called the Toll House. It was the building where tolls were collected from stage coaches before they headed up into the mountains where we eventually moved and where I still live today. I know that you always said your family had lived in the Toll House but you did not tell us that it made the newspaper! It was great to see that news clipping. I actually remember living there although I was only 3 at the time. We only stayed for a year but this was also when my father built his dune buggy. I still have it although it needs to be completely rebuilt as it has sat non-operational since the mid 1970’s. It was quite a year!